Get the basics – and make sure they work together. knowing their title and company size. You need to know what your target audience wants, what motivates them, and what level of urgency they have for deciding to buy. It can be easy to convince yourself that you have established your buyer journey when, really, all you have is a big leap from TOFU to BOFU. If your TOFU content talks about frustration with rising health costs and poor patient outcomes, then leaps to “do you want a demo?,” you are skipping to the end of your funnel. Instead, you want to develop content that builds confidence, one step at a time, until your lead is actually ready for that demo. Now that you know your ABC’s, the issue is ensuring they are working together. When this happens, you are clear on your audience but have no established buyer journey. So, you can capture a lead’s attention – but then you have nowhere to send them. This is common when the marketing team is being run like a sales team. For instance, one company that approached me had a new way to archive patient medical records. They knew who would want their product and they had a Facebook campaign set up. But that was it. They had no concept of the steps needed to go from “meets my general target criteria” to “wants to buy.” They assumed that if their audience saw their product on Facebook, that would be enough to set up a conversation. Not the case. Another problem that arises from this situation is too many one-off campaigns. For instance, a tech company I worked with would send targeted trade show invitations to radiologists and others to anesthesiologists. However, after that announcement and – maybe – a “we missed you” follow-up email, both groups got nothing but a generic newsletter. In this situation, you are also clear on your audience, but you haven’t established your campaigns. This can happen when you have great content creators but no one is thinking about how to re-purpose it. One company I’ve worked with had tons of content for every possible buyer persona, from nurse to CEO – but they weren’t using it. One of the first projects I did with them was to organize their content. The resulting document made it easy to see what content worked for which value proposition and which buyer persona, as well as what stage of the funnel. Suddenly, it was clear that they had enough content to create ebooks, webinars and infographics on everything from chronic care management to healthcare costs for self-insured companies. It just hadn’t been utilized. In this case, you have campaigns that are not targeted to your buyer personas. These are likely to be less effective than campaigns tailored to the needs of specific audience segments. For instance, one client had several Adwords campaigns. They targeted people searching for their competitors’ names, as well as for their target markets. However, their buyer personas were not brought into any of them. Instead, they had a generic ad that ran across the board. This made it hard to know how to follow up with any leads the ads brought in. How do you address all of these situations? Simple – think three steps ahead. When you plot out buyer personas and buyer journeys, think of the confidence-building you are going to need to do. Then, create content and campaigns to flesh that out. When you create campaigns, think of where they fall in the buyer journey and who they are designed to target. Then, create a trigger to lead to the next campaign. Above all, think of the next step in the lead’s journey. Will they be in a new stage of the funnel? Will they be ready to buy? 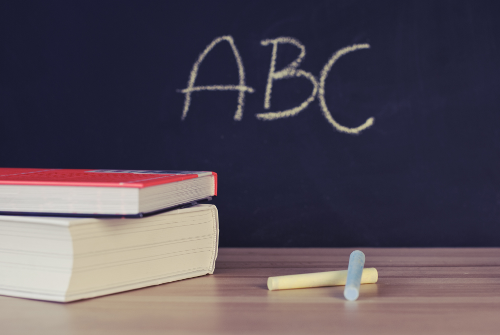 Coordinate your ABC’s and your marketing will have more impact.